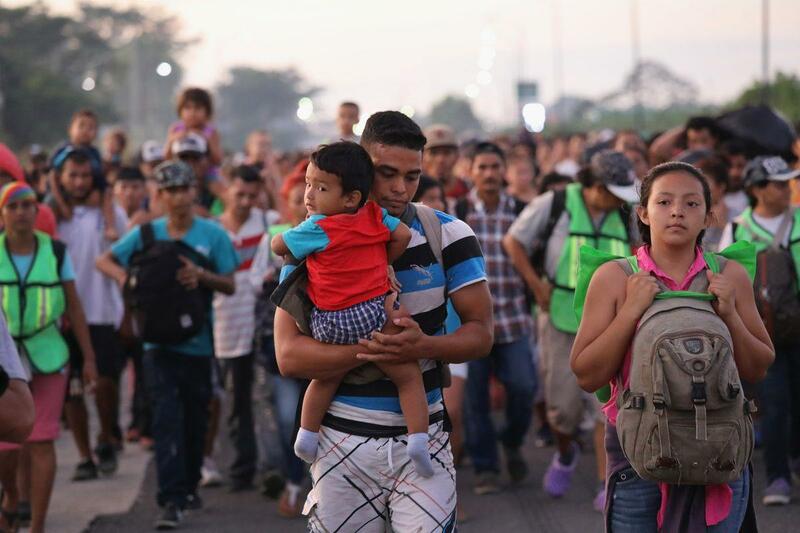 The caravans of Central American migrants moving toward the US border have been tracked by the mainstream media and employed by the US government as prime examples of a state of emergency. In this dialogue with Amarela Varela and Blanca Cordero we will instead explore the phenomenon of caravans, as best as we can, from the perspectives of the migrants themselves and the Mexican activists and communities that offer them aid and hospitality. We will investigate, specifically, the idea that the caravans constitute, not only a necessary means of protection, but also a new and powerful form of migrant struggle, a new form of social movement. Event #1: Monday, March 25th - 12pm-1pm - a 'mapping' discussion based on recommended readings (see below). Event #2: Wednesday, March 27th - 12pm-1pm - a dialogue with Amarela Varela and Blanca Cordero on these themes. Both events will have a free lunch provided.